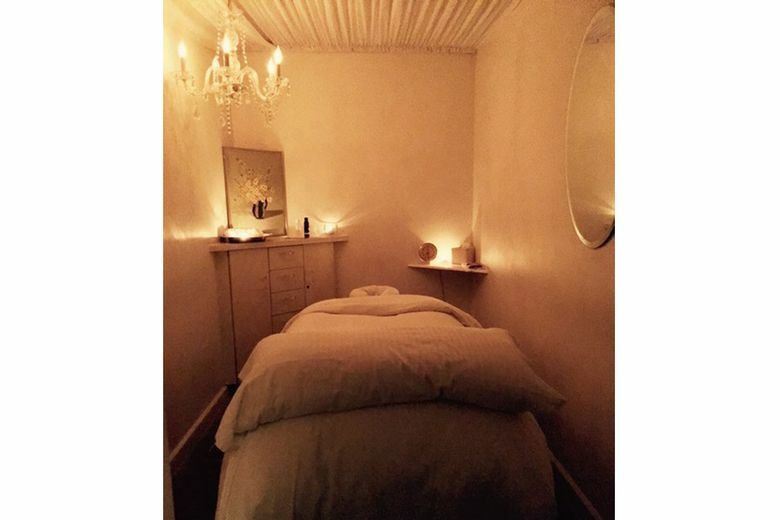 A treatment room at Penelope and the Beauty Bar. Penelope & the Beauty Bar’s peppermint foot scrub is sweet relief for taxed toes. Did you shop till you dropped? Do you need one more present, like, right now? Either way, Penelope & the Beauty Bar’s Perfectly Pampered Peppermint Foot Scrub/Massage is a festive fix for your predicament. The blissful 40-minute treatment includes a foot and calf exfoliation and massage with holiday-scented peppermint scrub and oil. Pressure points are hit, toxins are released and skin is left smooth and moisturized. The spa is open today and tomorrow if you need to pick up a gift certificate — or just need a moment for yourself.